League Two strugglers Dagenham & Redbridge have extended the loan spell of Portsmouth midfielder James Dunne until 2 January. 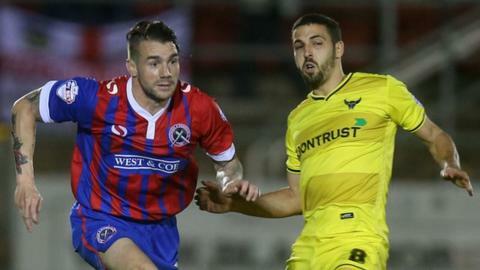 The 26-year-old has made six appearances since joining the Daggers last month, scoring once. Dunne, who has featured once for Pompey this season, moved to Fratton Park from Stevenage in June 2014. He began his career at Arsenal and subsequently had a three-year spell at Exeter City.